Old-Fashioned Chicken and Dumplings is a super simple recipe. Flat and yummy strips of dough simmered in a yummy broth and tender chicken. The ingredients are simple; chicken, chicken stock, and a simple dumplin’ dough. That’s it. 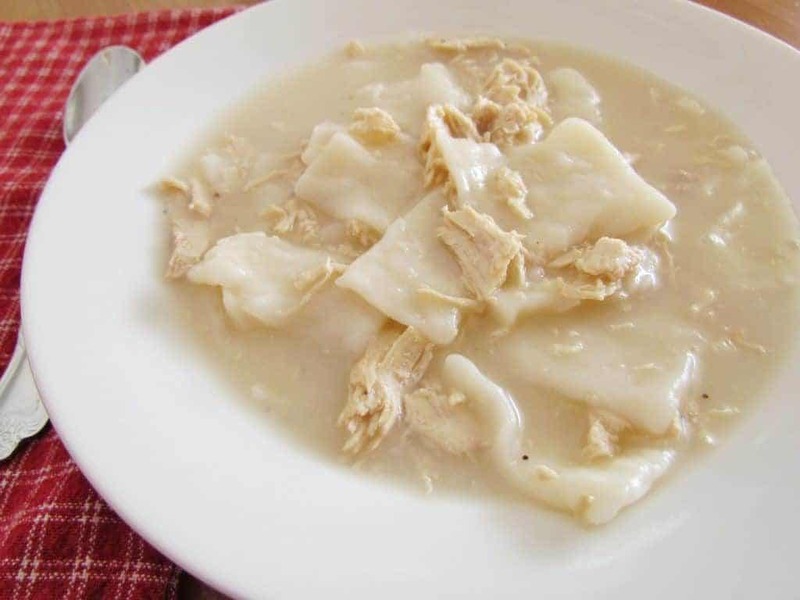 For those of you who haven’t eaten this style of Chicken and Dumplings growing up then you may have eaten it at a place like Cracker Barrel. It’s a humble dish for sure, but I think that is what makes it good. We’re going back to basics here today on The Country Cook. First thing you need to do is to cook the chicken. You can use a store bought rotisserie chicken for this if you like. Preheat oven to 350F degrees. Spray a baking sheet with nonstick cooking spray. Drizzle a little olive oil on the chicken and season with salt and pepper. Bake for about 45 minutes. Some folks like dark meat with their dumplings, some like a combination of white and dark. Chicken thighs would work great for this as well. Go with whatever you like here. I had two large chicken breasts so I used those. 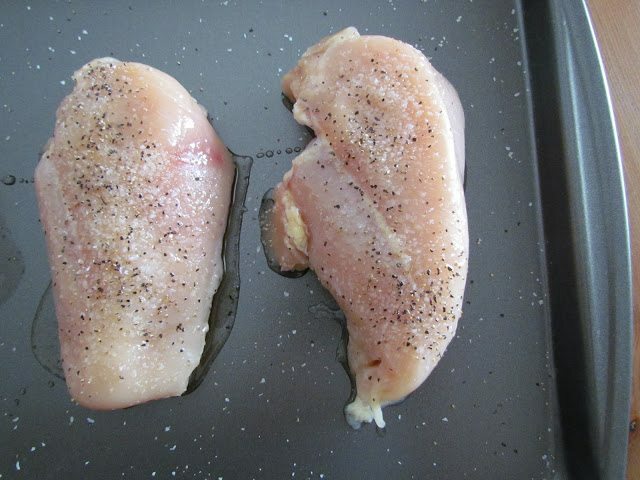 Once the chicken is cooked, shred it with two forks. Or, you can put it into a stand mixer and have it do the work for you. Look how easy and perfectly shredded. Just don’t leave it on too long or you’ll have minced chicken. Pour 2 quarts of chicken stock or broth into a large pot and start warming it up on the stovetop while you make the dumplings. 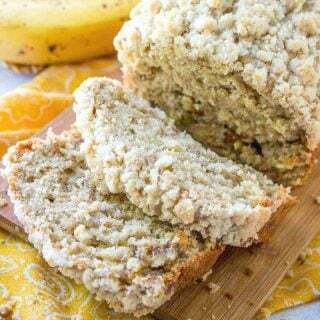 In a medium bowl, combine flour and baking powder. Then add in cubed butter. 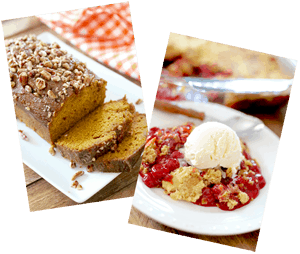 You can combine it all using a fork or a pastry cutter. But the best way is really with your fingers. 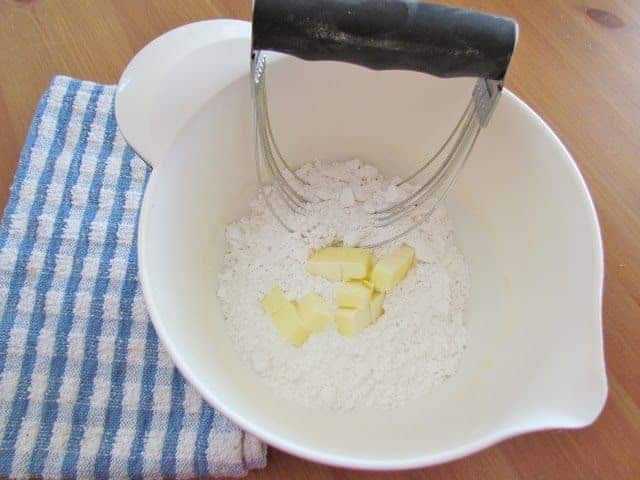 Just smoosh the butter between your fingers while you gradually mix it in with the flour mixture. Now pour in the milk. You want to measure out a little less than a cup. Mix it all together. Dust your counter with a generous amount of flour. 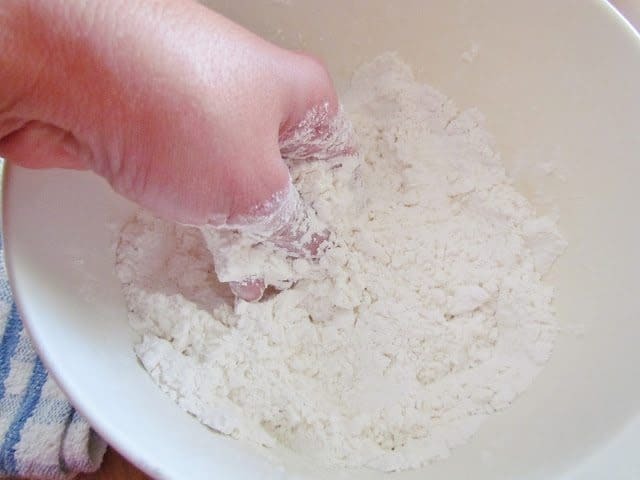 Place your dumpling dough on the counter and dust it with more flour. 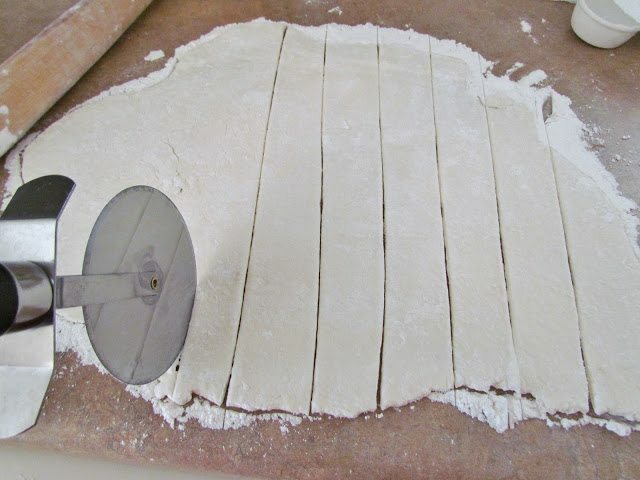 With a rolling pin, roll the dough out to about 1/4″ thickness. Be sure to add flour as necessary to keep it from sticking underneath or to your rolling pin. Using a knife or a pizza cutter, start cutting out your dumplings into squares. They don’t need to be perfectly shaped. Remember, this dish is rustic and homemade so it should look like it. Dust your dumplings with a bit more flour. The extra flour is all gonna help keep them from sticking but will also thicken your chicken broth some as well when you add them to the pot. Bring the chicken broth up to a boil. Add in your shredded chicken and stir. Begin adding dumplings one at a time so they don’t all stick together. Stir frequently while adding them. Allow dumplings to cook for about 15-20 minutes. 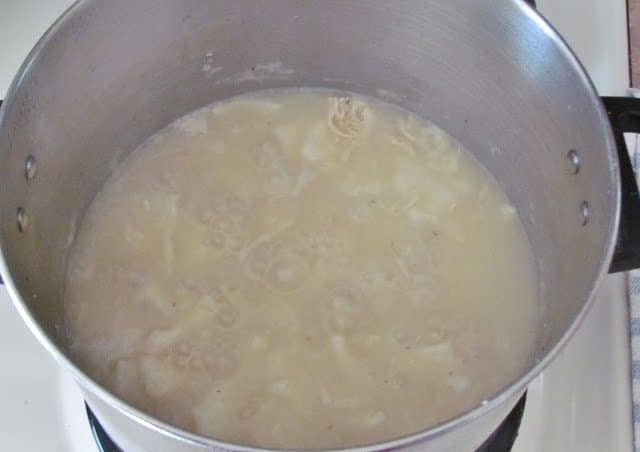 You should notice your broth starting to thicken (from the extra flour) and your dumplings may start to sink a little to the bottom because they are soaking up the broth. Take one out and taste test it. It shouldn’t have a doughy taste anymore. Mmm. Mmm. Mmm. Happiness in a bowl. Old-Fashioned Chicken and Dumplings is a super simple recipe. 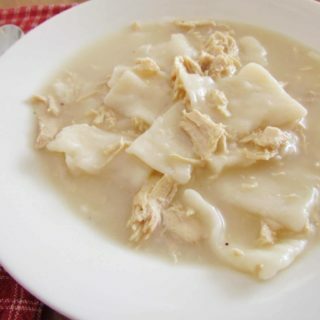 Flat and yummy strips of dough simmered in a yummy broth and tender chicken. Drizzle a little olive oil on the chicken and season with salt and pepper. Pour 2 quarts of chicken stock or broth into a large pot and start warming it up on the stove top while you make the dumplings.. In a medium bowl, combine flour and baking powder. Then add in cubed butter. Combine using your fingers, fork or pastry cutter. Pour in the milk. Mix it all together. Dust your counter with a generous amount of flour. 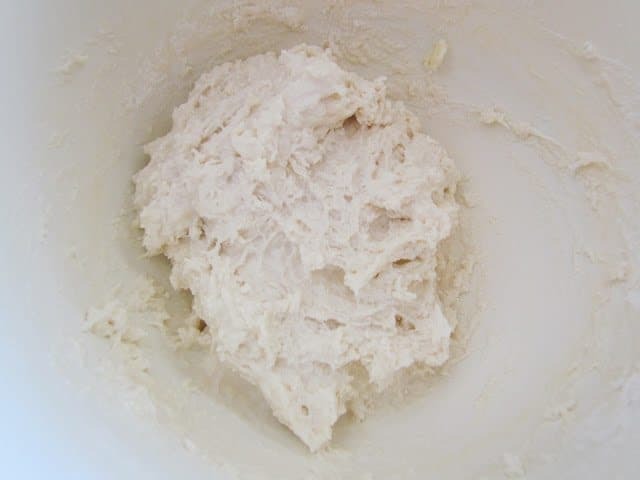 Place dumpling dough on the counter and dust it with more flour. 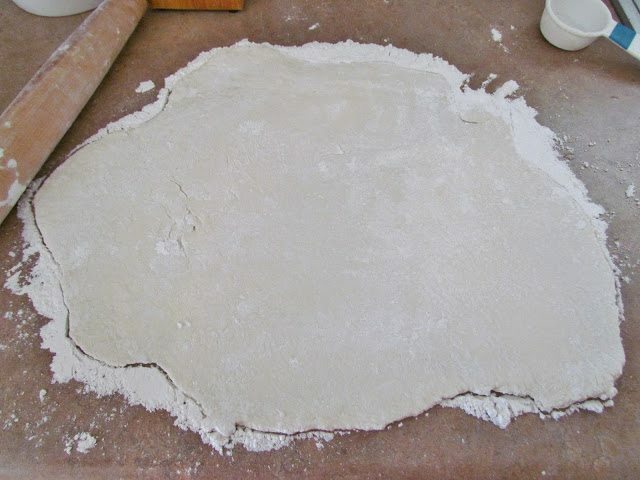 With a rolling pin, roll the dough out to about 1/4" thickness. 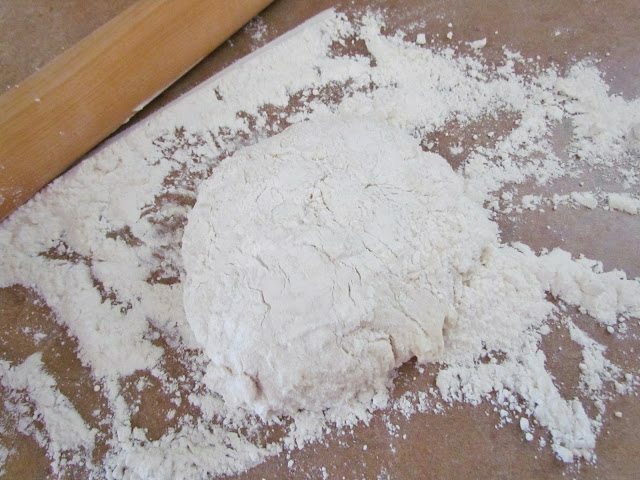 Be sure to add flour as necessary to keep it from sticking underneath or to your rolling pin. 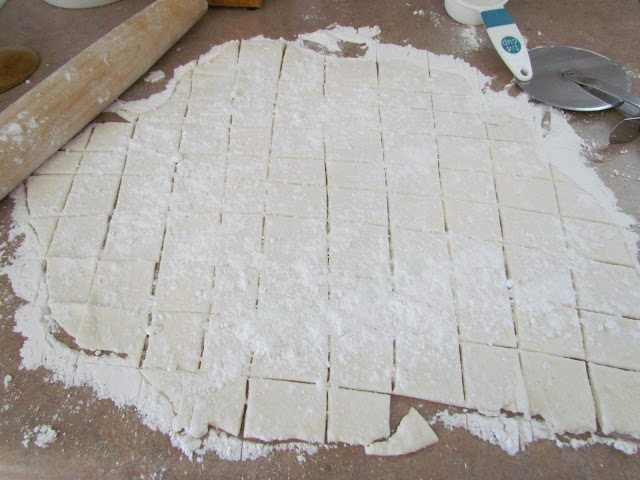 Using a knife or a pizza cutter, start cutting out your dumplings into squares. Dust dumplings with a bit more flour. The extra flour is all gonna help keep them from sticking but will also thicken your chicken broth some as well when you add them to the pot. Bring chicken broth up to a boil. Add in shredded chicken and stir. Begin adding dumplings one at a time so they don't all stick together. Stir frequently while adding them. Allow dumplings to cook for about 15-20 minutes. 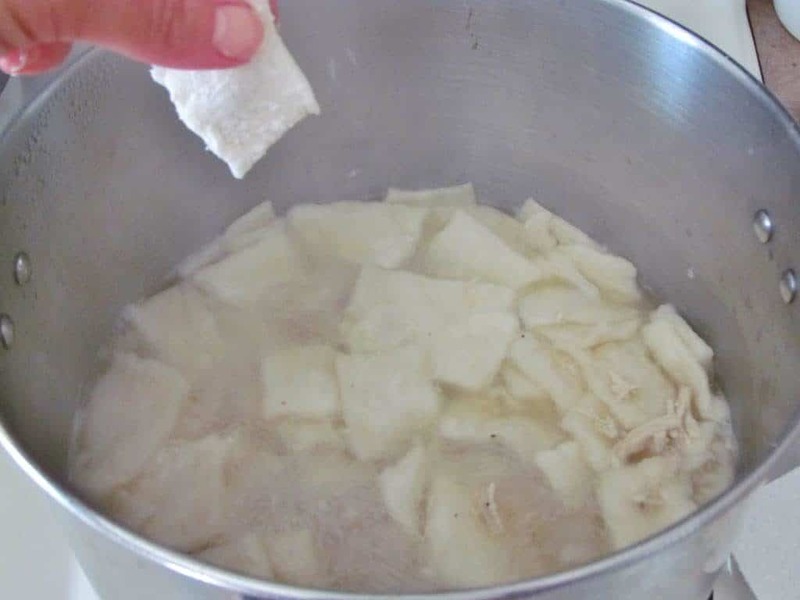 You should notice your broth starting to thicken (from the extra flour) and your dumplings may start to sink a little to the bottom because they are soaking up the broth. 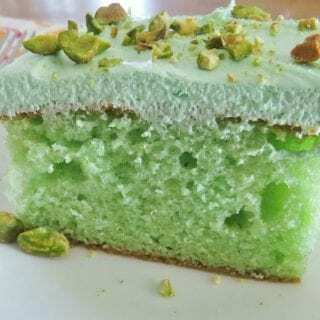 Take one out and taste test it. It shouldn't have a doughy taste anymore. CRAVING MORE COMFORT FOOD RECIPES. CHECK THESE OUT! 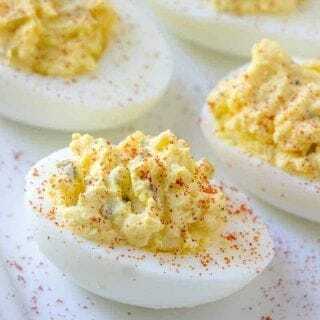 This is an easy delicious recipe. 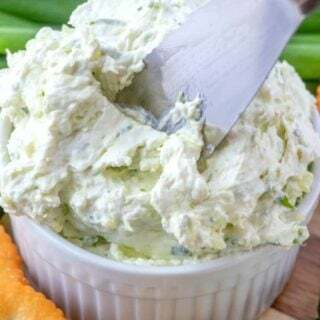 I added cream of chicken and cream of celery to add flavor. Didn’t add the salt. This was good, but the recipe doesn’t mention the fact that if you over mix or knead your dough then dumplings will be tough. As a first timer I had to find this out through Google after wondering what I had done wrong. Just like Granny made. 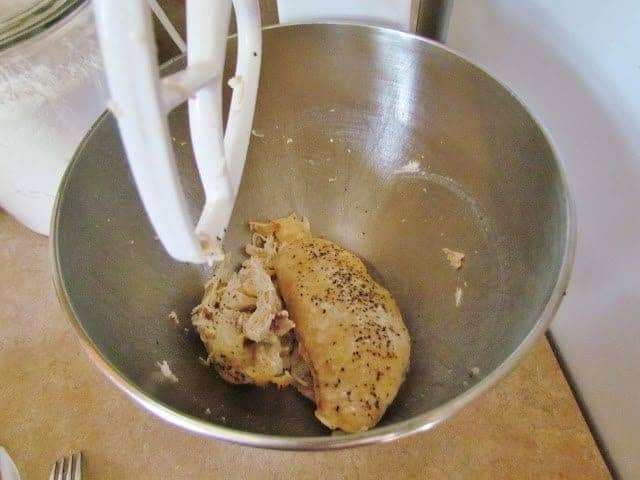 I have always made my chicken and dumplings this way. I double the dumplings because everyone wants extras. 🙂 As other reviewers posted, please don’t over mix the dumplings, as they will get tough. I see the photo has parsley sprinkled on the C&D in the bowl…..Granny always added parsley to hers, she said it made it pretty. 🙂 With or without the parsley ~ it is delicious! My Grandma had a flour bowl with a lid that she used for making dumplings and biscuits. 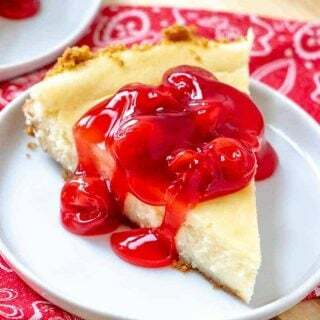 She would hollow out a small depression in the flour and pour water and and a little vegetable oil in and then mix it with her fingers adding flour to it gradually. 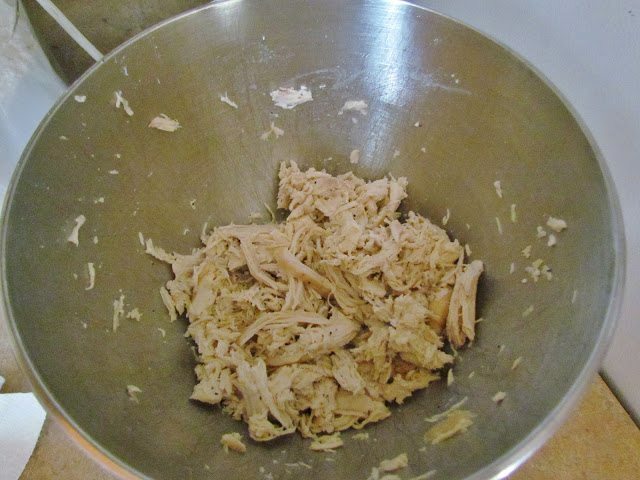 When she felt like she had the right amount of flour she would take the ball of dough out and sprinkle a little flour on the clean counter and roll the dough out with a glass and cut the dough into about six inch x 2 inch strips and add them to the pot that contained the boiled chicken. She used whole chicken pieces and didn’t season with anything except salt and pepper. The dumplings cooked in just a few minutes and they were delicious. I was always amazed at how quick she could make the dumplings. 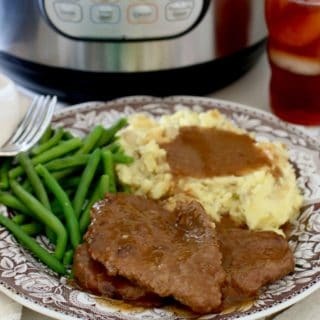 The only other recipe I liked as well was served at a small country kitchen run by two “grandmas”. They boiled their chicken and deboned it and then added it back to the stock. Once the dumplings were made and added they poured it into a baking dish and put strips of dumplings on the top. Once it was baked, they broke up the crispy dumplings on top and mixed it in with the others. Right before they took it out of the over, they added a little evaporated milk and pats of butter. This was even better than my Grandma’s recipe. I have never been able to find a recipe since then that called for baking the dish. Has anyone else ever run across one? I’m making this right now … do you add a lid after adding the dumplings? And do you keep it on boil or low or ? Hi Amanda, no lid necessary unless you find that the liquid is getting too thick and the dumplings aren’t ready yet. Some folks like to keep a lid on to get more of a “steamed dumpling” texture. Hope that helps!